Permit Previously Built Project: A Reader Question - Armchair Builder :: Blog :: Build, renovate, & repair your own home. Save money as an owner builder.- Armchair Builder :: Blog :: Build, renovate, & repair your own home. Save money as an owner builder. My wife and I bought our house back in 1996. At that time there was an unfinished room above the garage. HVAC and electrical were already in place. With the help of a contractor friend of ours we finished the room (sheet rock, paint, carpet, etc) We did this without obtaining a permit, basically not giving it any thought at the time. Fast forward to 2013 and our question is basically how big of a mistake did we make in not getting a permit at the time of renovation, and secondly, is there any way to “retroactively” have the space permitted. Thanks for the question Steve. We obviously recommend that anyone thinking of building a new project call the local building department to see what permit might apply. In general, a permit is required whenever electrical, plumbing, HVAC or a structure is involved. In your particular case, it sounds like you converted a non-habitable space into living space…which would, in most cases, require a permit. Before we get into whether you can get a permit years after the work is completed, let’s take a look at the reasons for getting a permit. Building Code Compliance – It’s a good thing to have the local building department review your plans and work in progress to make sure it complies with current building codes. This helps protect you and those that might visit your home. Tax Records – Many times the builder permit will trigger a change to the real estate tax records for your property. This can be a good thing when you go to sell your home…especially if you added square footage, a bathroom or a bedroom. This will increase the value of the property. Of course the increased value will also most likely increase your property taxes. Penalty Fees – If the building department finds out you are building a project that requires a permit and you did not get one, it can cost you big time. Some local municipalities double or triple the permit fees when you try and build without applying for a permit. Contractor Accountability – If you pull a permit, you local building department may be able to help you with a contractor issues. If they perform shoddy workmanship or fail to show up, the building department may be able to pull a bond to help you fix the problem. So the question now becomes, can you get a permit for work that is already completed? Since the goal is to build safe projects, you may be able to retroactively get a permit for completed work. I have worked with local municipalities to go back and check work to make sure it is safe. However, a few problems can be created when the work was previously completed. Building Codes: If years have gone by, the code most likely has changed. So the question becomes, should the work in place meet current codes? In most cases the answer will be yes. And if your project doesn’t meet the code, you may need to redo some of the work to make it comply. Inspection: The reason inspections take place while the work is being completed, and not afterwards, is so the inspector can really see that quality work is being done. 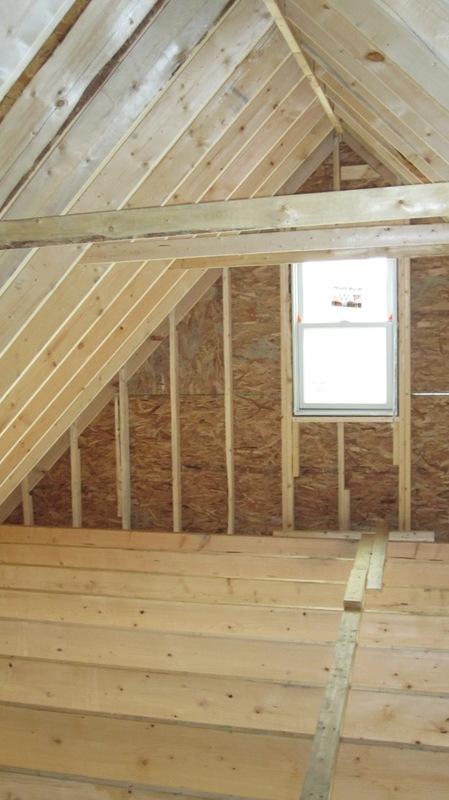 After insulation, drywall and trim cover up the walls, it is difficult to check whether building codes were met. If you took pictures or video during the project, you may be able to show them to the inspector to review the work. But if your inspector wants to be a stickler with the rules, you may need to remove drywall and/or insulation to see critical components. The only way to get a permit for previously completed work is to talk with your local building department. Be honest with them and tell them you didn’t even think about the need for a permit. Share with them all of the information you have about the project and work completed (i.e. plans, truss layouts and details, framing diagrams, pictures, video…etc.). Also let them know you have had no problems over the years since completion. After all, it’s been over ten years since you built the project and you have had no problems. Will they give you a permit after all of this? Maybe. Especially if you agree to do whatever they ask. The biggest question I would have regarding the converted attic space involves the structural integrity. If you have proof the structure will safely support furniture and occupants, you should be good to go. Do you have a question regarding your existing or future home? Shoot us an email at info@armchairbuilder.com.